Learn how to earn and use Heat Points in the Watch_Dogs Companion: ctOS Mobile App. 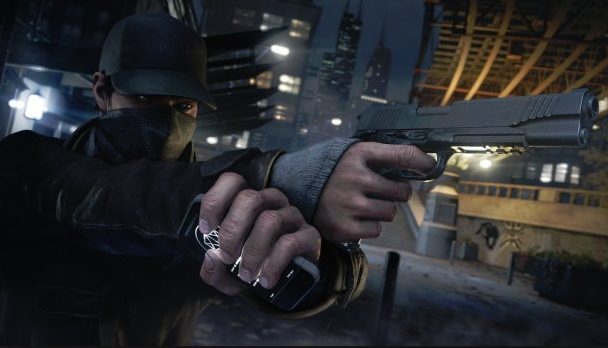 Control Chicago with the new companion app for the highly anticipated game, Watch Dogs. The Watch_Dogs Companion: ctOS mobile app allows you to control the city of Chicago from anywhere in the world. With an abundance of resources at your fingertips, it can be overwhelming being Big Brother. We have some tips on how to effectively utilize your heat Points to make your job of being the eyes and ears of Chicago easier than it sounds. How do I get Heat Points in Watch_Dogs Companion: ctOS Mobile? As a ctOS Operative, you will have control of the Chicago Police and all ctOS devices across the city. Once you've logged in with your Uplay and Playstation Network credentials, you're accepted as a ctOS operative. Use the police helicopter equipped with a sharpshooter to assist you with the hunt. Maneuver the helicopter over your target to acquire heat Points. You can accumulate a maximum of 20 Heat Points. Without Heat Points, you won't be able to use ctOS devices or Police forces. Maintaining the helicopters position above your target enables the sharpshooter to take a shot. This will add Heat Points to your total with every successful hit. How do I get more Heat Points through ctOS devices in Watch_Dogs Companion: ctOS Mobile? â¨The streets become your ultimate battleground, where it's your duty to maintain order. Player actions may trigger ctOS incidents, which contribute to your Heat Points. Utilize Points from ctOS incidents to trigger ctOS devices that help stop players. Force players to commit illegal actions by triggering ctOS devices like traffic lights and blockers. Every successful attack using ctOS adds Heat Points to your total. Manipulating players to damage pedestrians is another way to get more Heat Points with ctOS devices.